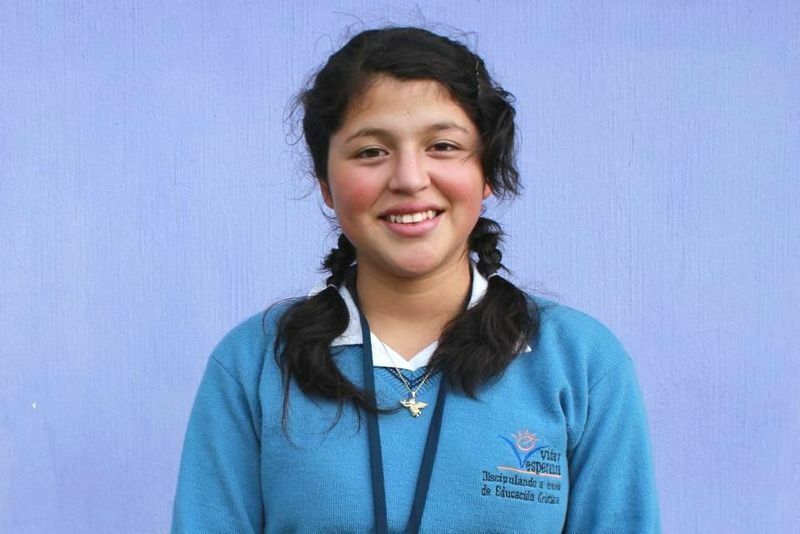 A rising star has been discovered in the Oasis Girl’s Home in Guatemala. A young, 15 year-old girl called Silvia* has tapped into her very special God-given gift and showcased her talents in a music competition at her school. She has even learnt to play the piano and drums by ear, without reading music. She is showing great potential. Silvia added another string to her bow when she and another young lady from the Oasis formed a choir with the youngest girls. They performed for a Stand By Me Guatemala fundraising dinner and they were a huge hit with the audience. Silvia demonstrated how she has grown into a dedicated and responsible adult when she taught the children songs, put together the choreography and led the girls to singing success! Silvia was welcomed into the Guatemala children’s home in 1998 and has lived with her Stand by Me family ever since. She shares one of six houses at The Oasis and each house is designed to accommodate ten girls to keep our family sizes small. At first she was unsettled and agitated but as she has grown up, she has matured into a vibrant and gifted teen due to the love, care and support she receives from her carers, the home and her Heavenly Father. This young lady has a brilliant future ahead of her and we are excited to see how she progresses.